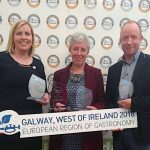 With only one week to go until the award-winning two-day global food symposium, Food On The Edge 2018, the anticipation is building for the gathering of world-class international chefs, food leaders and experts in Galway, Ireland, on the 22nd and 23rd of October. The two-day programme will feature 15-minute talks, panel discussions and masterclasses involving more than 60 international and Irish participants who will take to the stage in the Bailey Allen Hall at the National University of Ireland Galway (NUIG) to share their food stories and start important conversations – which is the theme of this year’s symposium – around the challenges and opportunities within the industry. Both days of Food On The Edge 2018 will open with JP McMahon (Founder and Director of Food On The Edge) and in conversation with this year’s joint MCs, chefs Matt Orlando (AMASS, Copenhagen) and Sasu Laukkonen (Ora Restaurant, Helsinki). Further conversations will include chefs Esben Holmboe Bang (Maaemo, Oslo) and Jordan Bailey (Aimsir at The Cliff at Lyons, Kildare, Ireland) on mentorship (Monday, 9.45am); Irish chefs Andy McFadden (Glovers Alley) and Neven Maguire (MacNean House) (Monday, 12.15pm); the overall winner of the San Pellegrino Young Chef of the Year 2018 Yasuhiro Fujio (La Cime, Osaka) with chefs Takashi Miyazaki (Ichigo Ichie and Miyazaki, Cork), JP McMahon and Killian Crowley (Aniar Restaurant, Galway) on ‘Learning from Japan’ (Monday, 2.50pm); and British food writer and author Joe Warwick, the author of bestselling Where Chefs Eat, on ‘Rating, Ranking & Rewarding Restaurants – What’s Best?’ (Tuesday, 11.40am), with many other ‘Conversations’ also on the line-up across both days. Food On The Edge is being dedicated this year to the memory of the late American chef and food journalist Anthony Bourdain who died in June. On day one at 9.30am, Nathan Thornburgh — Bourdain’s partner at Roads & Kingdoms, the producers with CNN of the celebrated TV programme Parts Unknown — will be presenting a reflection on five years of thinking about the future of food, writing and television with Anthony Bourdain in a ‘Food Story’ entitled ‘What Food Meant to Anthony Bourdain (and why it matters)’. The renowned Spanish chef Andoni Luis Aduriz (Mugaritz, San Sebastian) will present a ‘Food Story’ on the topic of ‘Future Growing Environments’ (Tuesday, 9.15am); Helena Puolakka (Aster and Skylon, London) on ‘Senses’ (Monday, 10:20am); Paul Ivic (Tian, Vienna) on ‘From the Soil to the Kitchen to our Soul – How we Try to Shape the Future of Food’ (Tuesday 10:05am); Skye Gyngell (Spring at Somerset House, London) on ‘Adapting with Age: Staying on our A-Game in a Increasingly Youthful Industry’ (Tuesday, 10.20am); Lars Williams (Empirical Spirits, Copenhagen) on ‘Cultivating Innovation – Fermentation, Koji, Booze & Distilling’ (Tuesday, 3.00pm), with further ‘Food Story’ talks also on the line-up. A number of speakers will be addressing the symposium’s overall ‘Future of Food’ theme as a topic, namely Portuguese chef Alexandre Silva (LOCO, Lisbon) (Monday, 11.55am); British chef Douglas McMaster (Silo, Brighton) and Dan Gibeon (Silo, Brighton) whose topic is ‘Waste of the Failure of the Imagination’ (Monday, 5.30pm); Mexican chef Jorge Vallejo (Quintonil, Mexico City) on the topic of ‘Urban Agriculture in Mexico City’ (Tuesday, 11.05am); and Joshna Maharaj (Moody’s Delicatessen & Provisions, Boston) whose topic is titled ‘Take Back the Tray’ (Tuesday, 3.15pm). A Panel Discussion on the topic of ‘British Food Now’ with chefs Clare Smyth (Core, London), Nathan Outlaw (Restaurant Nathan Outlaw, Cornwall and others), Luke French (Restaurant Jöro, Sheffield) and Paul Cunningham (Henne Kirkeby Kro, Denmark) will be moderated by the award-winning food writer Diana Henry on Monday at 11:05am. 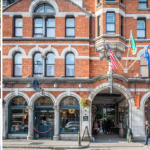 A second Panel Discussion on the topic of ‘Irish Chefs Abroad’ with Kevin Burke (The Ninth, London), Aidan McGee (Corrigan’s, Mayfair) Marguerite Keogh (The Five Fields, London) and Danni Barry (Clenaghans, Craigavon) will be moderated by Ruth Hegarty (Chef Network) on Monday at 4.30pm. An ‘Action-Reaction’ theme is returning this year and will be addressed by speakers including chef Vladimir Mukhin (White Rabbit, Moscow) on ‘Russia on the Gastronomic Map of the World: Dorm the Revival of Russian Cuisine to the First International Festival IKRA’ (Monday, 10.05am); and chef Duncan Welgemoed (Africola, Adelaide, Australia) whose topic is ‘The Death and Rebirth of our Chef Culture’ (Monday, 12.10pm), among others. New to Food On The Edge this year is a series of hands-on Masterclasses for delegates which will be led by selected speakers including Matt Orlando (No Such Thing as a By-product, Only Another Product, Monday at 2.20pm); Joshna Maharaji (Social Gastronomy in Public Institutions: Triumphs, Challenges & Big Lessons, Monday at 4.30pm); Sasu Laukkonen (The Importance of Using Local Produce and Developing Relationships with Farmers, Tuesday at 2:15pm); Douglas McMaster and Dan Gibeon (To Maximise Resources is to Minimise Waste, Tuesday at 11:05am); and Nicole and Bartek Pawlukojc (How Chefs can Build a Better understanding of the Importance of Quality Food & Produce in their Local Community, Tuesday at 4.25pm). These sessions will accommodate up to 50 people and will be on a first-come, first-served basis. Delegates to Food On The Edge will get to experience an Artisan Food Village that will showcase food and drinks from more than 60 top Irish producers. It will also feed the speakers, panelists and delegates. A pop-up Charlie Byrne’s Bookshop will act as a hub for signings and sales of titles authored by the speakers. The Kings Head on High Street is the venue for a Monday after-party with live music from 9:30pm, while The Front Door on Cross Street will host the wrap party on Tuesday evening from 7:30pm. The 2018 Food On The Edge venue is the Bailey Allen Hall at the National University of Ireland Galway (NUIG), Ireland. The masterclass sessions will take place in the O’Donoghue Centre next door. The symposium on the 22nd and 23rd of October will be a mix of 15-minute talks by speakers, panel discussions and hands-on masterclass sessions. The event will start at 9.00am on both days, with registration opening from 8.00am. 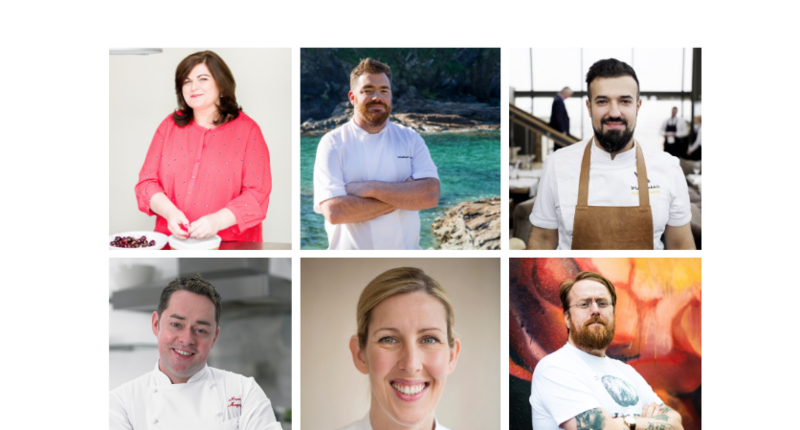 A two-day ticket for Food On The Edge costs €350 and can be purchased online on the official website www.foodontheedge.ie. Follow the official hashtag #FOTE2018 for regular updates.